“Biodiversity—the variety of plants, animals, micro-organisms and ecosystems that constitute our living environment— is not static; it is constantly changing. It can be increased by genetic change and evolutionary processes, and it can be reduced by threats which lead to population decline and extinction. Australia’s biodiversity is currently in decline; in Australia, more than 1,700 species and ecological communities are known to be threatened and at risk of extinction. 1. Department of the Environment and Energy. (2018). Threatened species under the EPBC Act. Canberra: Australian Government. “Despite the limited extent of public land in the Yellingbo investigation area and its highly fragmented configuration across the landscape, some parts of the investigation area [in which the YCA is situated] retain nationally significant biodiversity values such as the helmeted honeyeater, lowland Leadbeater’s possum and other threatened species. The remnant native vegetation on public land is largely made up of 16 Ecological Vegetation Classes (EVCs), 11 of which are threatened (three of these endangered) and another two are classified as depleted” (VEAC, 2012, p. 23). Governments, agencies, organisations, and community groups across the world recognise the importance of biodiversity conservation. A systems approach incorporating international, national and local expertise is essential to the conservation and preservation of healthy and vibrant global ecosystems. At an international level the International Union for Conservation of Nature (IUCN), established in 1948, is the global authority on the status of the natural world and the measures needed to safeguard it. The IUCN programme 2017-2020 details biodiversity targets in the following areas: valuing and conserving nature; promoting and supporting effective and equitable governance of natural resources; and deploying nature-based solutions to address societal challenges including climate change, food security and economic and social development. In addition the IUCN Red List of Threatened Species is recognised as the world’s most comprehensive information source on the global conservation status of animal, fungi and plant species. Australia is one of seventeen countries described as being ‘megadiverse‘ – this group of countries has less than 10% of the global surface, but support more than 70% of the biological diversity on earth. Australia’s Fifth National Report to the Convention on Biological Diversity provides an update on the biodiversity status as it relates to Australia’s environment and populace; describes Australia’s national biodiversity strategy and action plan; and summaries Australia’s progress towards the 2020 biodiversity targets. The Australian Government, in collaboration with states and territories, has developed a national framework for biodiversity conservation over the next decade. For more information see: National Framework for Biodiversity Conservation; Australian Environment Legislation – EPBC Act; National Landcare Program; National Reserve System; CAPAD 2016; National Wildlife Corridors Plan. The Victorian Government is supporting biodiversity and threatened species through a range of on-ground initiatives and funding. Regional Biodiversity Hubs have received $7.7 million in funding to deliver 26 large-scale regional projects. The Regional Hubs include agencies and organisations working together in large-scale projects to address threats to a range of important native species in priority areas across the state. Projects include removal of woody weeds and other pest plants; rabbit, fox and feral animal control; implementation of protection measures such as fencing from overgrazing; and selective fire management and habitat restoration. Biodiversity Response Planning for Port Phillip / Westernport: The Port Phillip / Westernport area is one of 11 geographic areas being used for the Biodiversity Response Planning (BRP) process. Each area includes a working group, responsible for setting priorities, assisting with stakeholder engagement and recommending projects to be funded. The Yellingbo Conservation Area is located in this geographic zone. The Port Phillip and Westernport Catchment Management Authority (PPWCMA) facilitate the funding applications for the Port Phillip and Westernport area. Within the Yellingbo Conservation Area, the Butterfield to Yellingbo Project received funding to ‘improve connectivity from Butterfield Reserve to Yellingbo through pest animal control, weed control, fencing, revegetation and voluntary permanent protection on private land’. Bioregions: are a landscape-scale approach to classifying the environment using a range of attributes such as climate, geomorphology, geology, soils and vegetation. There are 28 bioregions identified within Victoria. The Yellingbo Conservation Area is situated in the ‘Highlands – Southern Fall bioregion’. Ecological Vegetation Classes (EVC) are the standard unit for classifying vegetation types in Victoria. EVCs are described through a combination of floristics, lifeforms and ecological characteristics, and through an inferred fidelity to particular environmental attributes. Each EVC includes a collection of floristic communities (i.e. lower level in the classification) that occur across a biogeographic range, and although differing in species, have similar habitat and ecological processes operating. EVCs within the Yellingbo Conservation Area include: Clay Heathland/Wet Heathland/Riparian Scrub Mosaic; Cool Temperate Rainforest; Damp Forest; Damp Heathy Woodland; Floodplain Riparian Woodland; Grassy Dry Forest; Grassy Forest; Herb-rich Foothill Forest; Lowland Forest; Riparian Forest; Riparian Scrub/Swampy Riparian Woodland Complex; Riparian Thicket; Shrubby Foothill Forest; Swampy Riparian Complex; Swampy Riparian Woodland; Valley Grassy Forest; Valley Heathy Forest; and Wet Forest. The Victorian Biodiversity Atlas (VBA) is the collated information of flora and fauna sightings across Victoria. The VBA species observations are a foundation dataset that feeds into some of the many biodiversity tools used in DELWP’s everyday decision making – showing where wildlife is now and how this has changed over time. This makes it a core input to the majority of the governments processes and programs that impact native species. 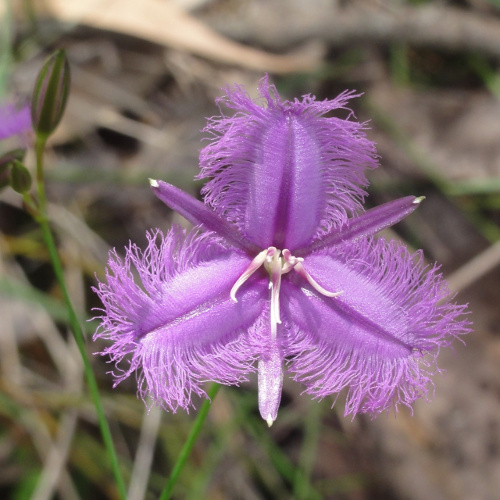 VBA Go is the new mobile tool that links directly to the Victorian Biodiversity Atlas, making it easier than ever for environmental managers, researchers, students and all community members to share records of Victoria’s native species while out and about. VBA Go is the new mobile tool that links directly to the Victorian Biodiversity Atlas, making it easier than ever for environmental managers, researchers, students and all community members to share records of Victoria’s native species while out and about. NaturePrint is a suite of decision-support products and tools designed to help us make choices about what actions to take, and in which places, to protect Victoria’s environment and plan for the future. NatureKit is a new tool to map and report on Victoria’s biodiversity values and investment prospects. This tool displays information on Victoria’s: Biodiversity values; Investment prospects; Flora and fauna distribution; Native vegetation; Marine bathymetry and habitat; Disturbance; and Land administration and classification. NatureKit allows you to zoom in and out, pan around the map, identify features, perform queries, generate reports, and create printable pdf maps or images. The following video introduces how to navigate NatureKit. Department of Environment, Land, Water and Planning (DELWP). (2017). Protecting Victoria's Environment – Biodiversity 2037. Melbourne: State Government of Victoria. Retrieved from https://www.environment.vic.gov.au/__data/assets/pdf_file/0022/51259/Protecting-Victorias-Environment-Biodiversity-2037.pdf. Department of Environment, Land, Water and Planning (DELWP). (2017). Protecting Victoria's Environment – Biodiversity 2037. Supporting Technical Summary. Melbourne: State Government of Victoria. Retrieved from https://www.environment.vic.gov.au/__data/assets/pdf_file/0029/67853/6702_DEL_Biodiversity_Evidence_6.0.pdf. Department of Sustainability and Environment (DSE). (2013). Bioregional Conservation Status for each BioEVC. Melbourne: State Government of Victoria. Retrieved from https://www.environment.vic.gov.au/__data/assets/pdf_file/0012/50511/Bioregional-Conservation-Status-for-each-BioEVC.pdf. Jones, R. (2015). Biodiversity Initiatives within Cardinia. Officer, Victoria: Cardinia Shire Council. Retrieved from https://www.biosphere.org.au/sites/default/files/cardinia_shire_council_update_-_rob_jones.pdf. Walker, I. (2015). Innovation in Victoria’s Parks. Melbourne: Parks Victoria. Retrieved from http://aciucn.org.au/wp-content/uploads/2015/09/21_Walker.pdf.